Across the Bored finds itself, going forward into this wondrous year 2013, the recipient of an embarassment of riches courtesy of Richard at The Future is Papier Mâché. Author of a photography blog that documents the denizens of Greater London, with the bonus of book reviews and collaborations, it is well worth more than the occasional look. He has nominated us for a few choice awards below. You may, of course, grab the badge and display it as prominently as you see fit! Q: If you could change something what would you change? Q: If you could repeat an age, what age would it be? Q: What one thing really scares you? Q: What one dream have you not completed yet and do you think you will be able to complete it? Q: If you could be someone else for a day, who would you be? 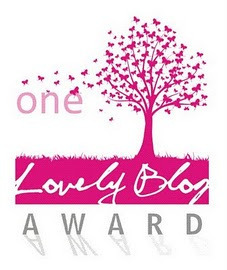 The One Lovely Blog Award was sent along by Katy of PragueByKaty – Thank you so much for thinking of Across the Bored as lovely enough to grace your readings. Katy shows us a side of her city and travels that make one want to throw our gear in a bag and get on the next plane! 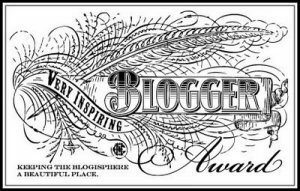 Some blogs deserve recognition but don’t want any awards, so we will bestow upon them an Honourable Mention – Please have a look at the incredible work of Gary Schollmeier at http://garyschollmeier.com. Thanks once again to Richard, Nutsfortreasure and Katy! Pingback: Taking a Moment to Say Thank You | Travel. Garden. Eat. Thank you – have a wonderful, creative New Year! Congratulations on all your awards! Thank you for giving me an award – it’s very much appreciated. You’re very welcome – hope you had wonderful holidays! 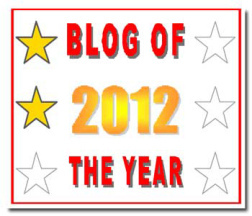 I heartily agree with your nomination of Milner’s Blog – a great photographer. What’s not to love – a little humour, astronomy, pop culture and sci -fi! Brilliant! I had fun reading your 7 fact, questions and answers plus 7 random things. I can realte to some of it :) Best wishes for 2013! Congratulations! Much deserved! 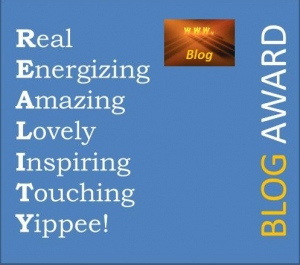 And thank you for the nomination – Much appreciated. I am in some VERY good company here, I must admit. Wishing you all the best. Have a Happy New Year! You are most welcome (and thanks!) – have a wonderful New Year! Thank you and you are very welcome – glad I could give you a chuckle! As regards the award, it’s the thought that counts. Have a very happy New Year.